Eterna II is a table where swooping curves have been introduced to present a unique yet practical way of utilising a tabletop, inviting the user to interact with the table with consideration to placement of objects. Constructed from two different manufacturing styles from opposite sides of the world, the table was conceived whilst in Medellin, Colombia. 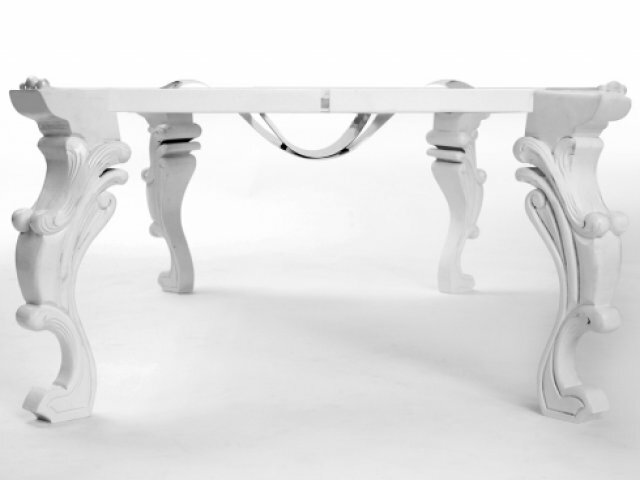 Incorporating traditional techniques the table’s legs were hand carved by skilled artisans, meaning every set is slightly unique, while the tabletop was produced using lasercut steel, bent to shape, to give it a unique form. There are many options for using the central silver serving dish. 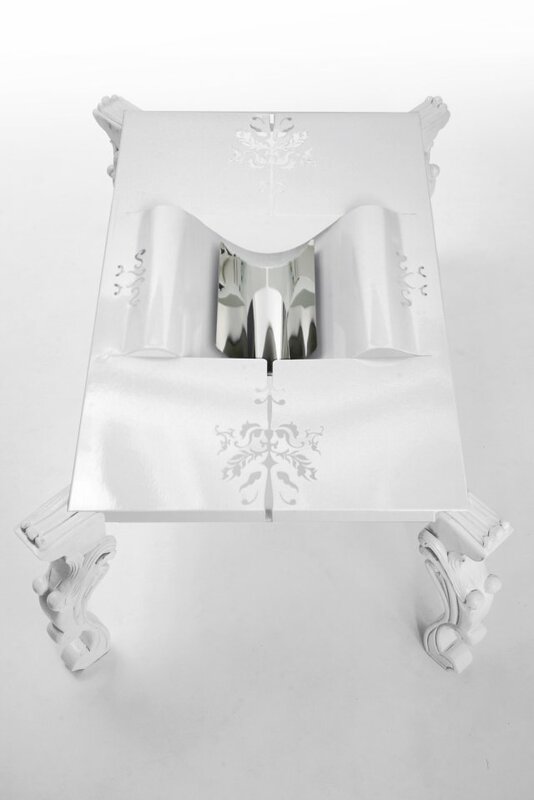 Food can be served, traditional silver service style with tea or it could be used as a cigar tray with your finest choice of alcoholic beverage!